Shirreffs also credited jockey Gary Stevens and the on-site veterinarian, whose efforts in the immediate aftermath following Royal Mo's training injury May 14 at Pimlico Race Course may have saved the colt's life. "It was great work by Gary Stevens," Shirreffs said. "To get down there and keep his leg elevated, and the doctor got out there quickly to make sure he didn't hurt himself more." GARY IS BACK ON THE TRACK! Besides BEHOLDER in the Distaff and RUNHAPPY in the Dirt Mile, Gary is up on Turf Sprint contender OM, WIN THE SPACE in the Classic, and ASHLEYLUVSSUGAR in the Breeders' Cup Turf. BEHOLDER draws post 7 for the Pacific Classic - Gary HAPPY! Watch for Gary and KOBE'S BACK in the Triple Bend G1 on the 25th at Santa Anita - post position 2. Three-time Eclipse Award-winning mare Beholder (Henny Hughes) breezed four furlongs in :48.60 (9/25) at Santa Anita Tuesday morning, her final drill before an expected start in Saturday's GI Vanity Mile S.
"She left there sweet like she always does," Stevens said. "She went over super, super quiet today. I had to let her do a little something the last sixteenth because she wanted to. She had fun, I had fun. The sky's the limit for her. She didn't take so much as a deep breath when I pulled her up. She's a very happy mare." A BUSY weekend for Gary! Gary and Taris were surprised in deep stretch by a horse coming with a rush outside of them. None the less, Taris finished a good second in the G1 Santa Margarita. MGSW TARIS entered in the Santa Margarita Stakes - Gr. 1 with Gary up. They have won their last two graded stakes races. Gary Stevens will be heading to Kentucky and will ride the majority of April at Keeneland. 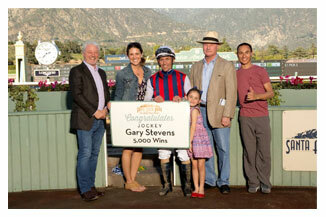 The Daily Racing Form reports that Stevens will ride at Santa Anita through the end of the meeting April 10. After that, he will be based in Kentucky through Kentucky Derby Day. KOBE'S BACK ROARS TO SAN CARLOS WIN Next to last entering the stretch, Kobe's Back exploded through the lane to win the $300,000 San Carlos Stakes (gr. II) March 12 at Santa Anita Park. Mor Spirit among seven in San Felipe Stakes - Om is in the Frank E. Kilroe Mile S.
KOBE'S BACK returning in the Grade 2 San Carlos Stakes on March 12. Gary Stevens has seen plenty in his long career, but he experienced a first when he rode Ziconic, the son of Zenyatta, in his Feb. 20 debut at Santa Anita Park. As the Hall of Fame rider brought the 3-year-old Tapit colt back into the stretch after the seven-furlong race people cheered. It caught him off guard because Ziconic didn't win. "I've never been cheered for finishing third in a maiden special weight before," Stevens said. But it wasn't a run-of-the-mill third. Reminiscent of his famed dam, Ziconic was 15 3/4 lengths back—last in the seven-horse field—through a half-mile and rallied furiously. "We knew he was going to break slow and it took him a little while to get wound up," Stevens said. "I was at the three-eighths pole and was so far back. I said, 'Buddy, your mama could win from here, can you?' "
Trainer John Shirreffs said Ziconic will likely land in a two-turn maiden event in his next race. El Kabeir in the G2 San Antonio and Mor Spirit in the Grade 3 $ Robert B. Lewis. “They start separating themselves now,” said Baffert of the 3-year-olds with designs on the classics. “I think with every start, we're learning more about Mor Spirit and figuring out what he wants to do. He has a lot of tactical speed but you can't let him use it too early. Gary Stevens, who has ridden Mor Spirit in three of his four starts including the Grade I Los Alamitos Futurity which resulted in a 1 ½-length victory on Dec. 19, is aligned with Baffert. “He's doing really well,” Stevens said of Mor Spirit, a son of Eskendereya owned by Michael Lund Petersen. “He's training forwardly since the Futurity and I'm looking forward to his first start since December, so we're excited. Trainer Simon Callaghan’s Taris, a facile winner of the Grade III, one mile Go For Wand Handicap Nov. 27 at Aqueduct, returns to her home base at Santa Anita Saturday and could pose an elusive target on the lead with Gary Stevens engaged to ride. Off at odds of 4-5 in New York, the 5-year-old mare by Flatter pressed the early pace and took command around the far turn under Joel Rosario. Ridden by Stevens to an impressive win four starts back in the Grade III, 6 ½ furlong Rancho Bernardo Handicap Aug. 16 at Del Mar, Taris could get early pressure from Tara’s Tango or supplemental entrant, Illuminant, who has raced primarily on turf. Still turned out and getting some much-deserved rest at Peacefield Farm in Temecula, Calif., Spendthrift Farm's Beholder is expected to return to the barn of Richard Mandella soon, the trainer said Dec. 30 at Santa Anita Park. It looks as though it will be the red eye for Gary as he has a ride on the 28th on Dortmund in the Native Diver G3. at Del Mar as well as the Go For Wand on the 27th in NY. Despite a difficult trip, Gary and Taris checked in third in the Breeders' Cup Filly and Mare Sprint. 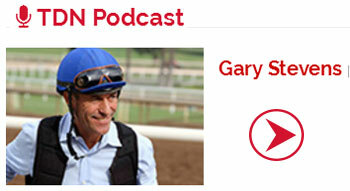 Anthony Stabile and Jude Feld interview Hall of Fame Jockey, Gary Stevens, on the September 30, 2015 edition of Xpressbet Radio on HRRN. On another picturesque morning at Santa Anita, two-time Eclipse Award Champion mare Beholder registered a strong gallop. Trained by Richard Mandella and owned by B. Wayne Hughes’ Spendthrift Farm, Beholder, fresh off a smashing win versus males in the Grade I Pacific Classic Aug. 22, came on Santa Anita’s main track via the quarter mile chute at 5:50 a.m. and galloped a strong two miles as she prepares for what her connections hope will be a third consecutive win in the Grade I, $300,000 Zenyatta Stakes at Santa Anita Sept. 26. The 5-year-old Henny Hughes mare will work five furlongs on Friday morning with regular rider Gary Stevens up. Champion Beholder will target the Oct. 31 Breeders' Cup Classic (gr. I), Spendthrift general manager Ned Toffey confirmed, and the mare's connections have also decided not to offer her at auction immediately after the World Championships. Spendthrift owner B. Wayne Hughes hopes Beholder can race next year as a 6-year-old, and he likely will likely keep her after she retires. Beholder, who last time out trounced males in the $1 million TVG Pacific Classic (gr. I), will point to the Sept. 26 Zenyatta Stakes (gr. I) at Santa Anita Park and then face males for a second time at Keeneland. "I think it made a really big impression on Mr. Hughes," Toffey said. "We all have talked about how fortunate we are to have her, and Mr. Hughes is 82 years old. He knows these kind don't come around very often, and he decided he'd just like to enjoy her. 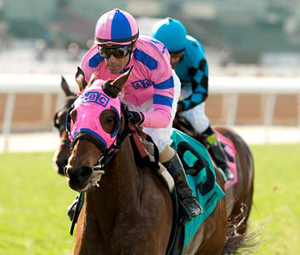 I think with the Pacific Classic, she maybe reached a whole other level." All doors are open to her and decisions for the future will be made in the future. The world is essentially her oyster! Two-time Eclipse Award champion Beholder is the 5-2 morning line favorite to become the first female thoroughbred to win Del Mar’s signature race of the summer season, the Grade I $1 million TVG Pacific Classic, Saturday. 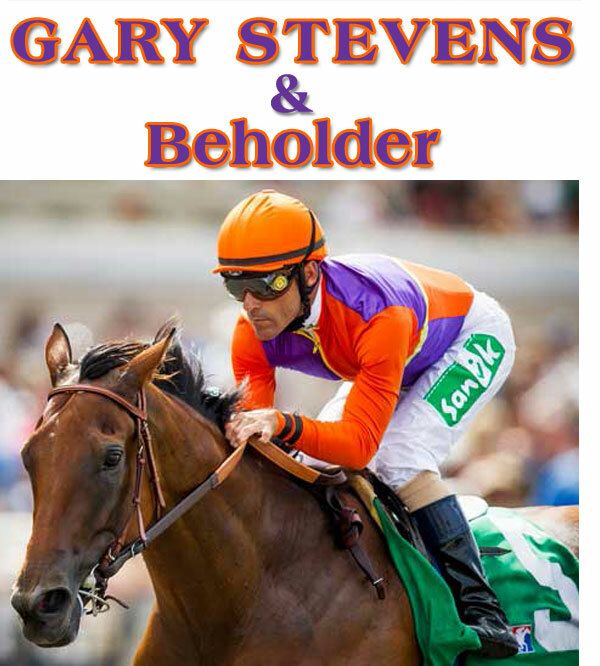 The brilliant daughter of Henny Hughes, owned by the Spendthrift Farm of B. Wayne Hughes and trained by Hall of Famer Richard Mandella, will have another Hall of Fame member, Gary Stevens, in the saddle as she attempts to further enhance an already dazzling resume. A winner of 13 of 18 starts, the mare has won eight of her last nine starts, including the recent Grade I Clement L. Hirsch Stakes, the tenth added money triumph of her career. ''He ran a hell of a race. That's a hell of a horse. The race was over in the third jump from the gate, it was over. It's great to come back to a screaming crowd in a happy way instead of booing. It's a pretty cool moment.'' - Gary Stevens, jockey of Tale of Verve, who finished seventh. Gary on Ashelyluvssugar going for the G2 Charles Wittingham S.
Red hot Ashelyluvssugar heads a field of five 3-year-olds and up inSunday’s Grade II, $200,000 Charles Whittingham Stakes, as the 4-year-old California-bred gelding by Game Plan bids for his second consecutive graded stakes win and his third overall win in a row. Trained by Peter Eurton and owned by his breeders, Sharon Alesia, Bran Jam Stable and Ciaglia Racing, LLC, Ashelyluvssugar rallied from far off the pace under Gary Stevens to take the Grade II, 1 ½ miles turf San Luis Rey Stakes on March 21 and will hope to have a legitimate pace to run at in the Whittingham. Stevens, at 52, has that fire in his eyes again and is looking to play spoiler to American Pharoah’s Triple Crown bid. He certainly has the horse to do it. With 8 going postward, Firing Line drew outside in post position 8. He is the morning line third choice. With a small field, this post should suit him well. Gary a close second in the Derby: Hollywood moment. Gary and Firing Line will break from the center of the gate in post position 10. He will have Bolo to his inside and Stanford to his outside. Firing Line has been given morning-line odds of 12-1 and along with Carpe Diem is the third choice. As Firing Line was readied for his jog, his Derby rider – Hall of Famer Gary Stevens – stopped by the barn to check on the bay. Stevens was asked just how much he liked Firing Line. “I like him quite a bit,” the 52-year-old jockey said with a smile. Firing Line looked well composed in his first visit to Churchill. A good effort from him is expected from this observer. Arnold Zetcher's Firing Line, easy winner of the Sunland Derby (gr. III), also jogged at Churchill April 27 after arriving on the same flight as Dortmund. Firing Line, by Line of David , passed Dortmund in the Feb. 7 Robert B. Lewis Stakes (gr. II), but the big colt surged back to beat him by a head.